Ever since Japan Airlines (JAL) first introduced Domestic First Class on its Tokyo Haneda - Osaka Itami route on December 1 2007, it has been launching campaigns to celebrate the anniversary of Domestic First Class in every December. 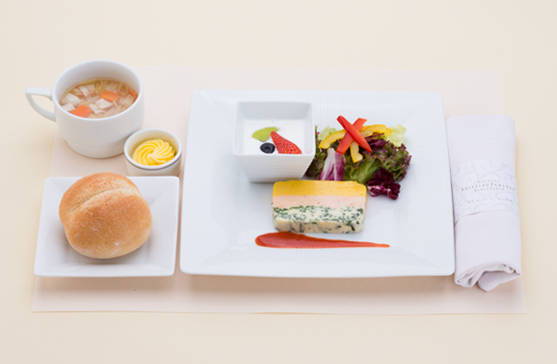 This year, JAL will be collaborating with Shiseido Parlour (a subsidiary of Shiseido), who happens to be celebrating its 110th anniversary right now, to develop some special inflight menus to celebrate the 5th anniversary of JAL Domestic First Class in December. 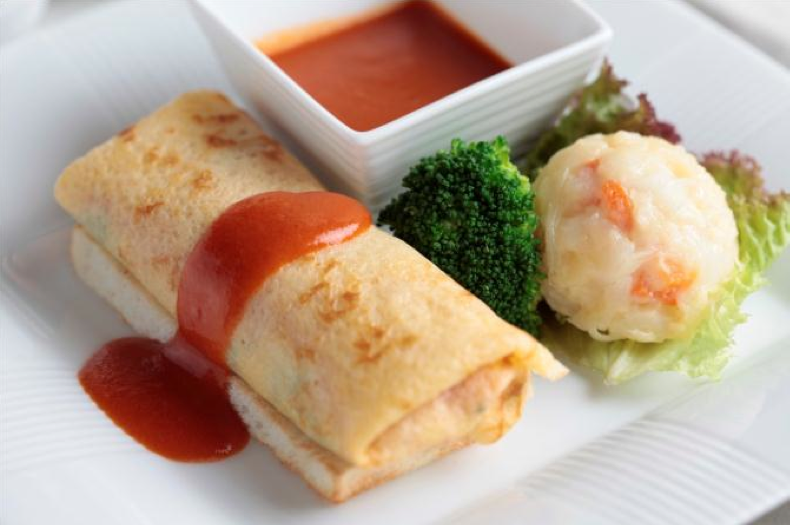 A traditional style chicken and spinach omelet wrapped with egg crepe will be served with tomato sauce, potato salad and onion soup. 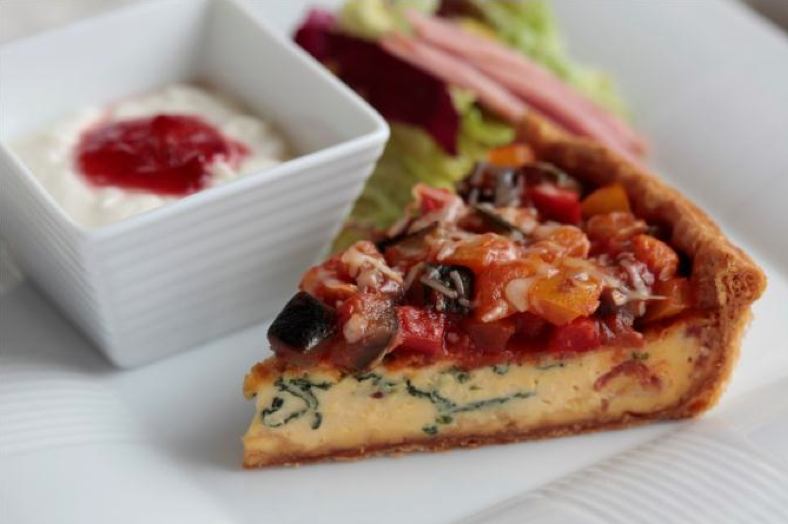 A vegetable quiche made with domestically grown vegetables will be served with smoked turkey salad, corn soup and yogurt. JAL and Shiseido are trying to use the vivd colors of red and green to put Christmas on a plate for you. Another Christmas inspired dish consists of a three color terrain made of pumpkin, scallops and salmon. It will be served with a traditional tomato sauce, soup, salad, and yogurt. 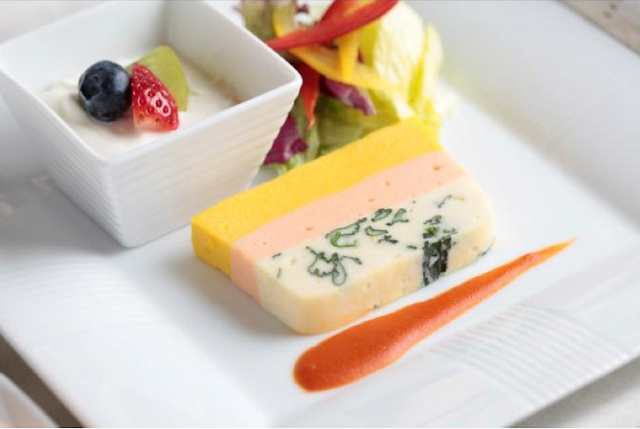 Passengers on the mid-day flights will be able to enjoy a special dessert from Shiseido in December and January. Pastry chef, Yasuhiro Suzuki, from Shiseido Parlour Ginza will be supervising the dessert menu during this time. 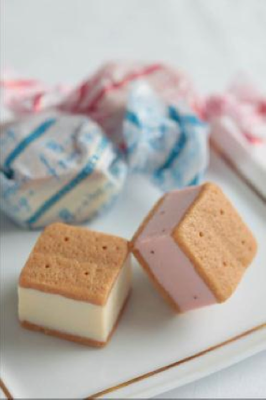 Passengers flying to and from Tokyo Haneda will also be served a different dessert. Below are the details for December. JAL will announce January menu at a later date. BonBon Fromage, Shiseido Parlour's signature bit sized cheesecake which is cute and delicious. 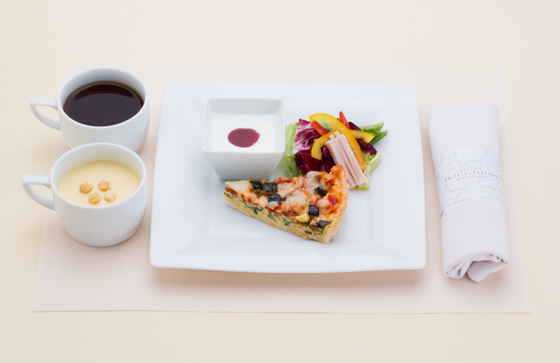 Special dessert menus on flights to Tokyo Haneda. 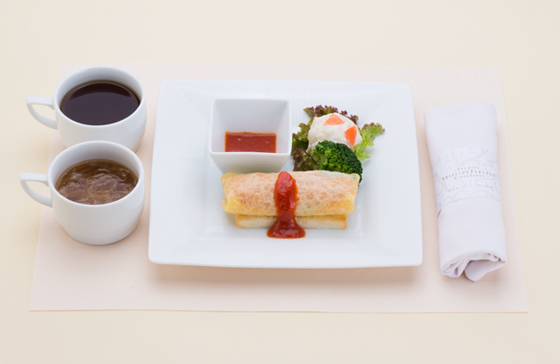 Image from Japan Airlines. Finally, every Domestic First Class passengers traveling in December will receive a souvenir from Shiseido Parlour. 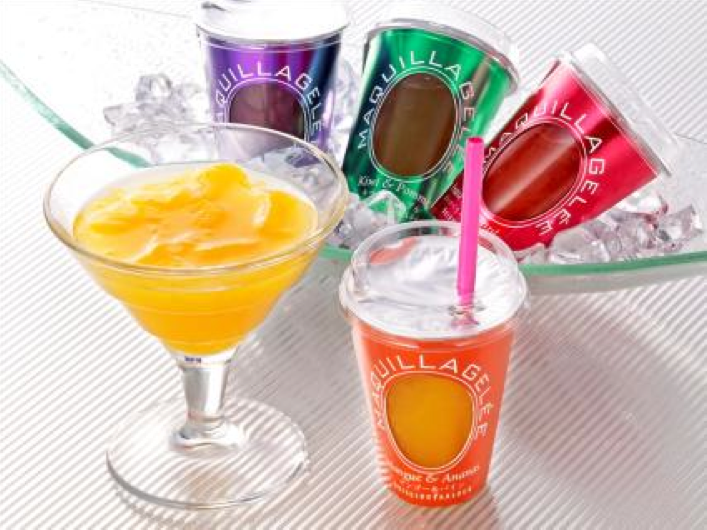 It is some kind of Le Maquillage branded jelly drink which is supposed to be healthy and filled with marine collagen peptide. Once again flights to and from Tokyo Haneda will receive different flavors of the drink. Those on flights departing from Tokyo Haneda will receive the mango and pine flavors while those one flights to Tokyo Haneda will receive apple and kiwi flavors.